Learn about the treatments our aesthetic experts swear by. The Beauty Nurse® team at The Cosmetic Surgery Clinic: you know them, you love them, and most importantly you trust them. Your skin and body experts, these gurus know their stuff when it comes to the medical aesthetic treatments we offer. That’s why we’ve asked them to share their favourite tried and tested treatments. The treatment I love: Tear trough & cheek injections. When a patient complains of looking tired, the issue is usually a sunken under-eye (tear trough) area combined with a loss of volume in the cheeks, which I love to treat using dermal filler injections. This treatment is one of my favourites because results are instant and patients leave their appointment with me looking fresh! First, I address the volume loss in the cheeks to create a better transition between the lower eyelid and cheek. Then, using a small cannula, I inject dermal filler into the indented area under the eyes. Because this area is so delicate—with many arteries, veins, and tear ducts in such a small space—the procedure should only be performed by an experienced injector to avoid blood vessel complications, blood circulation issues, and tear duct blockage. I am very proud to say I have never even caused bruising in all my years of performing tear trough injections! The treatment I love: Mirconeedling + PRP. My absolute favourite treatment right now is PRP + microneedling. The procedure combines the mechanical process of microneedling with the application of platelet rich plasma (PRP), a natural substance created from your own blood that contains growth factors to help stimulate the regeneration and rejuvenation of your skin. Both of these procedures are effective on their own, but we’re seeing incredible results from the combined treatment. Microneedling helps us to infuse your skin with PRP, which stimulates collagen and elastin production and promotes cell turnover. The Beauty Nurse® team loves this for the treatment of wrinkles or scars in the face, hands, and neck, and to generate a thicker, more elastic and youthful appearing skin. The treatment I love: Chemical Peels. I truly believe chemical peels and the amazing results they can achieve are widely underrated; there’s a reason they’ve been one of the most popular aesthetic treatments for decades. They’re quick and easy, involve no downtime, and best of all they’re suitable for almost every skin type. With a quick, customized, comfortable 30-minute treatment, we can address a variety of issues including wrinkles and fine lines, enlarged pores, acne, discolouration, skin texture and more. In my opinion, almost anyone can benefit from incorporating regular chemical peels into their routine. The treatment I love: CoolSculpting®. It should come as no surprise that my all-time favourite treatment is CoolSculpting®. What can I say? I practice what I preach! I’ve experienced the treatment myself, and I’ve seen the extraordinary results that my patients have enjoyed, and there’s just no other body contouring treatment like it. With quick, comfortable, and non-invasive treatment sessions, targeted fat cells in the chin, abdomen, thighs, buttocks, bra-line or upper arms are frozen, processed, and naturally cleared by the body over the course of several weeks. I love seeing patients weeks later with a leaner silhouette, and sky-high self-confidence. 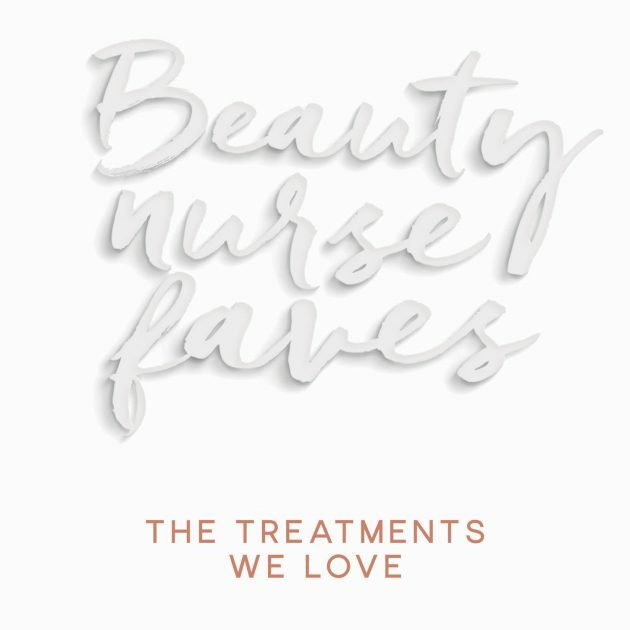 If you’re interested in learning more about any of these treatments, contact us to schedule an appointment with a member of The Beauty Nurse® team today.